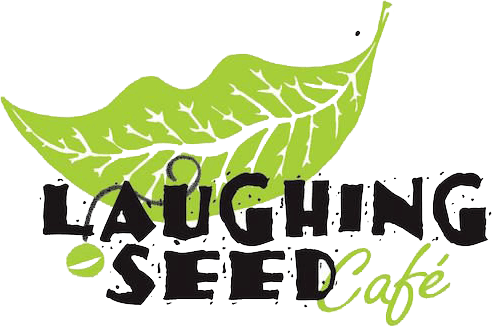 The Laughing Seed Cafe was started in 1991 by Joan and Joe Eckert. Originally a small lunch counter on the lower level of the local YMCA, we moved to our current location on Asheville’s historic Wall St in June of 1993, where we were one of the first businesses to spearhead the downtown Renaissance of this beautiful city in the Blue Ridge mountains. Quality and creativity have always been the driving forces behind the Laughing Seed’s eclectic international approach to vegetarian dining, and this has led to our popularity with vegetarians and meat-lovers alike. We combine local products, organic ingredients, and a flair for global fusion to give our dishes a unique and satisfying character. We have been the recipient of numerous awards including Best Vegetarian Restaurant in WNC fourteen years in a row (as voted by the Asheville Citizen Times and the weekly Mountain Express), and been recognized by publications as diverse as Southern Living, Vegetarian Times, and the NY Times. And we’re pleased to announce that we just achieved a two-star Green Certified restaurant rating for our many eco-friendly practices! 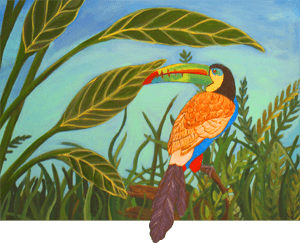 The Laughing Seed’s ambiance is one of a soothing oasis, where warm shades, a mural of the rainforest, and a babbling fountain melt away anxieties and set the stage for our festive, imaginative cuisine. A beautiful blue-green bar invites customers to sample one of our many fresh fruit smoothies and elixirs, indulge in a martini or mojito, relax with a glass of wine, or sip one of our locally brewed Green Man Ales. In warm weather dining is available on our sheltered patio, perfect for people watching and soaking up the mountain breeze. If you are a newcomer to the world of vegetarian dining we are sure your curiosity will be amply rewarded by our wide selection of delicious offerings. If you are a seasoned lover of meatless cuisine you’re in for a real treat. After all, as our many satisfied customers will tell you, there’s nothing like “Eating Right!” at the Laughing Seed Cafe.